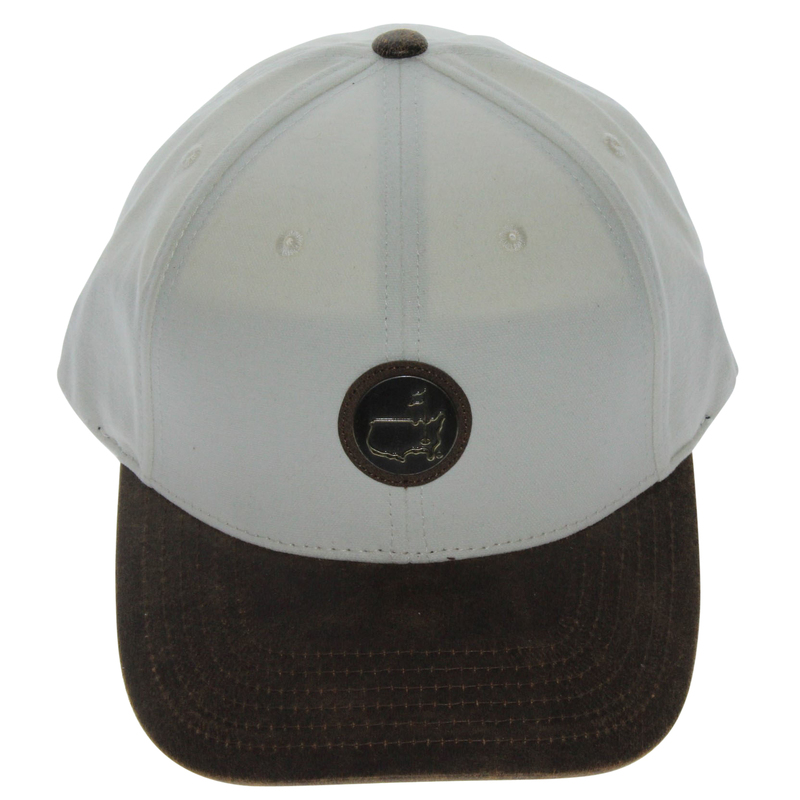 Structured hat, beige cotton with a bill that gives the appearance of distressed brown leather. Brass coin set on a brown background with raised Augusta National logo. 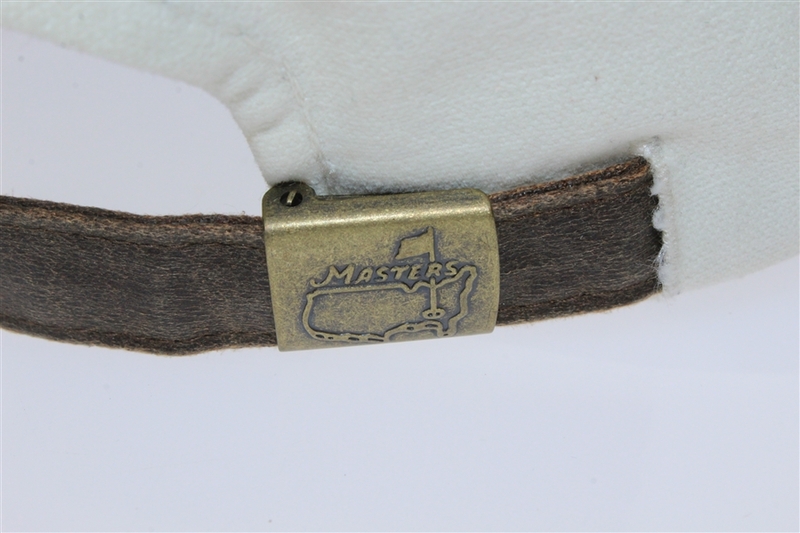 Adjustable Leather strap. 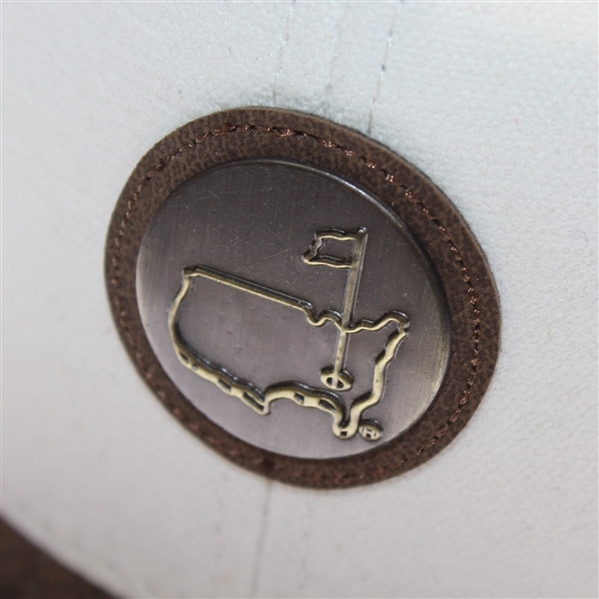 This is the most requested hat available from the members exclusive gift shop (not available at the Masters main merchandise stores). 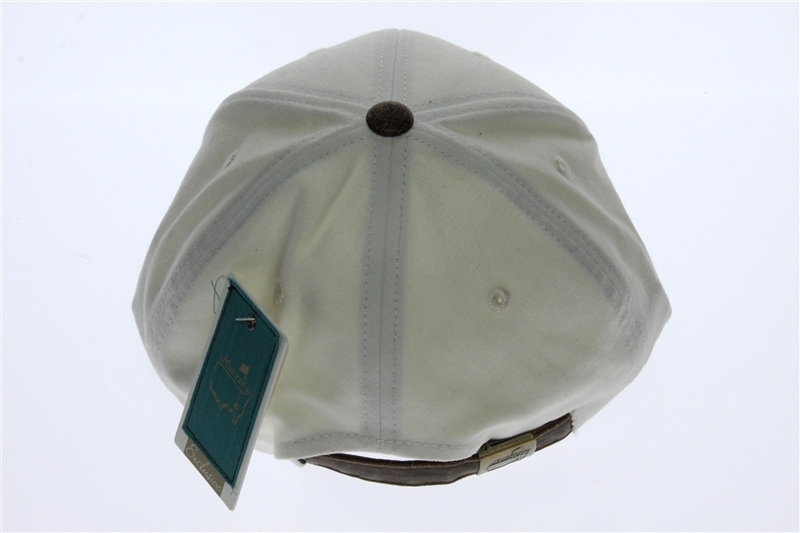 These elusive hats were sold only to members and V.I.P. guests with clubhouse access, or at the Berkmans Place V.I.P. area.